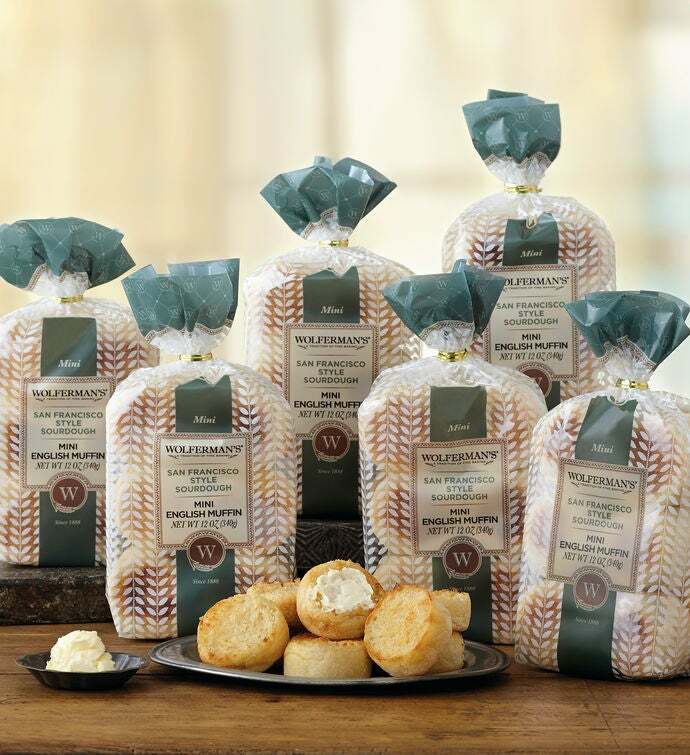 Enjoy all the great taste of Wolferman's® signature English muffins in a smaller size, and featuring our tangy San Francisco-style sourdough flavor. These fun treats, the smallest of our three sizes, are great for a light breakfast, a quick snack, or making hors d'oeuvres. Our English muffins are freezer-friendly, so feel free to stock up. A bevy of gourmet English mini muffins—72 in all. Kosher.